A recent 6.4-magnitude earthquake in the southern Taiwan region that killed at least 116 people was originally expected to have a less than 1 percent impact on semiconductor manufacturing in the region. TSMC now expects to have an impact above 1 percent, according to an updated report from DigiTimes. 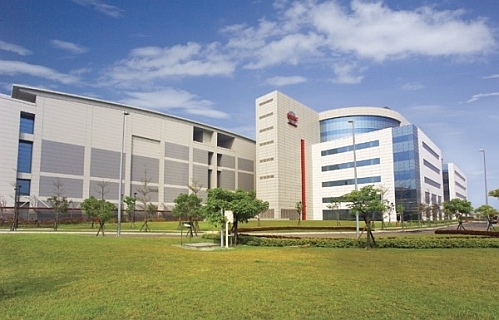 Taiwan Semiconductor Manufacturing Company, headquartered in northern Taiwan’s Hsinchu City, had originally estimated that wafer shipments in Q1 2016 will decrease less than 1 percent due to the February 6th earthquake hitting the southern Taiwan region. As of February 12th, TSMC now estimates that wafer shipments will decrease more than 1 percent because damage to Fab 14 is worse than originally assessed. The fabrication giant operates its 300-millimeter (12-inch) Fab 14 in the Tainan Science-Based Industrial Park in southern Taiwan, where it became first in the world to manufacture 20-nanometer SoCs in 2014, including the Apple A8 processor for iPhone 6 and iPhone 6 Plus. In 2015, the company also began manufacturing the 16-nanometer Apple A9 SoC, which powers the iPhone 6S and iPhone 6S Plus. Several reports in recent months have also suggested that TSMC landed a lone contract to manufacturing all of Apple’s upcoming 16-nanometer A10 chips for the iPhone 7 and iPhone 7 Plus. TSMC was said to have been given the contract because its 16-nanometer fabrication process is more stable than Samsung’s competing 14-nanometer process. Rescue efforts ended about a week after the earthquake struck southern Taiwan, with Taiwanese Mayor William Lai announcing on Saturday that all missing persons have been accounted for. A total of 289 people were rescued from toppled buildings, according to ChinaTopix and Xinhua news. Of the survivors, 96 of them were sent to hospitals for medical treatment. Most of the high-rises in the southern city of Tainan withstood the February 6th earthquake without serious damage due to new building codes enacted shortly after a September 21, 1999 earthquake (the “921 earthquake”) that killed 2,400 people. In the Yongkang district, however, a 17-story building containing 96 apartments called the Wieguan Jinglong (Golden Dragon), which began construction in 1992, had completely collapsed. Of the 289 people recovered, 114 of them were found among the ruins of the Golden Dragon building. The Golden Dragon received a construction license in 1992 and the building was completed in 1994, using building codes nearly twenty-four years old and predating the 921 earthquake in 1999. Its developers are now set to appear in Taiwan court, where a decision will be made to determine whether they followed correct procedure during the construction of the building, according to an ABC News Australia report. "Apparently in this case, there were indeed flaws in the construction of the building," the court statement said. In a bid to minimize the impact of earthquakes, the Southern Taiwan Science Park (STSP) Administration has agreed to cooperate with the National Center for Research on Earthquake Engineering to set up an early-warning systems, disaster information, and analysis mechanisms for the people of Taiwan. More images from the aftermath and rescue operations during the February 6th earthquake can be found here.